Listed below are partners whim whom we have already realized a project. If you would like to also become one, contact us here. The main role of the ESF is to develop employment, minimize unemployment, support social integration of people and equal opportunities with focus on the labour market and human resources development. The objective of the programme is to enable individuals at all stages of their lives to pursue stimulating learning opportunities across Europe. The European Commission is responsible for the overall implementation of the programme while the management of certain parts lies within the remit of the Education, Audiovisual < Culture Executive Agency (EACEA) and of national agencies in the EU Member States. SEND is an organisation which offers consulting services for the preparation of projects in the social field, at a national and at a European level. SEND also deals with International Mobility, working as a co-ordinator or intermediary organisation, organising training experiences abroad for Italian citizens (study visits, exchange and sending mobility projects) and arranging training experiences in Sicily for citizens from all European Countries (hosting mobility projects). Wisamar educational institute provides a competence and dialogue center, accredited by the German Institute for Adult Education. In this framework we carry out competence analyses, application training, consultancy and different further education modules. Together with partners from the Leipzig-Halle region as well as from all over Europe we support common European activities in education as well as the development of our region in the heart of Europe. N.E.T. is a not for profit association concerned with European projects design, training and sustainable local development. Established in 2001, it was founded by professionals that have worked in the training and social field, both at national and European level for a number of years. N.E.T. is active in all national regions and provides private and public bodies with integrated services of consultancy and technical assistance about national and European opportunities. Its mission is to provide higher education to economists and managers in order to meet the needs of the economy, public administration and nongovernmental organizations in the conditions of individualization and internationalization of studies and labour market. Its aims are to encourage, through appropriate education and training, efficient entry to the labour market of the youth, the unemployed and immigrants, whatever their social background; and also the promotion and development of educational, social or welfare activities to improve the living conditions of children and youth. They organize diverse training and development services for youth, adults, companies, and organizations. We offer our students unique versatile learning paths and international learning experiences customized to fit different life situations. The PFC operates in a wide geographical area which includes the provinces of Treviso, Venice and Pordenone and is in constant contact with all the Trade Associations and Labor to best meet the needs of the labor market. The aim of the Science Shop Bonn is to bridge the gap between universities and citizens to make the academic knowledge and the "average person" become closer has such demand. EUROFORM RFS is a non-profit organization, founded in 1996 whose mission is to facilitate the matching of supply and demand in the labour market. The University of Sussex was the first of the new wave of universities founded in the 1960s, receiving its Royal Charter in August 1961. Nearly 50 years on, the University has become a leading teaching and research institution. Korsnäs municipality is often referred to as the large business community. Today there are about 315 active businesses in the municipality. Občanské sdružení Rizika internetu a komunikačních technologií (alias Nebuď oběť!) se zaměřuje na preventivní osvětu žáků základních škol, pedagogů a rodičů v problematice nebezpečného užívání Internetu a komunikačních technologií. Varuje před možným zneužitím osobních údajů a seznamuje s novými fenomény kyberprostoru, jakými jsou například sexting, grooming, phishing, happy slapping. Věnujeme se natáčení videoklipů, tvorbě komixů a vzdělávacích programů, realizaci přednášek a mezinárodně kooperačních projektů. 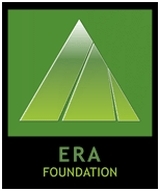 The ERA Foundation was established in 2000 under the Bulgarian Law on Non-Profit Legal Entities to work in the field of youth, social and educational spheres. Its main goals are: to support people in their personal, professional and civil development; to increase the youth and adults' participation in the civic life of their community; to promote education for development and intercultural dialogue. The foundation covers almost the whole spectrum of social sciences cultivated, from law through sociology to pedagogy of a strong environment-oriented information and specialized team of researchers and partners. The basic activity of E-space is to provide services and training in computer science. The company plans to expand your business and create innovative e-service: professional and innovative product offered to companies from the region, thanks to the wide promotion and later also in the country. 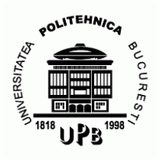 Polytechnic University of Bucharest is the oldest and most prestigious engineering school in Romania.